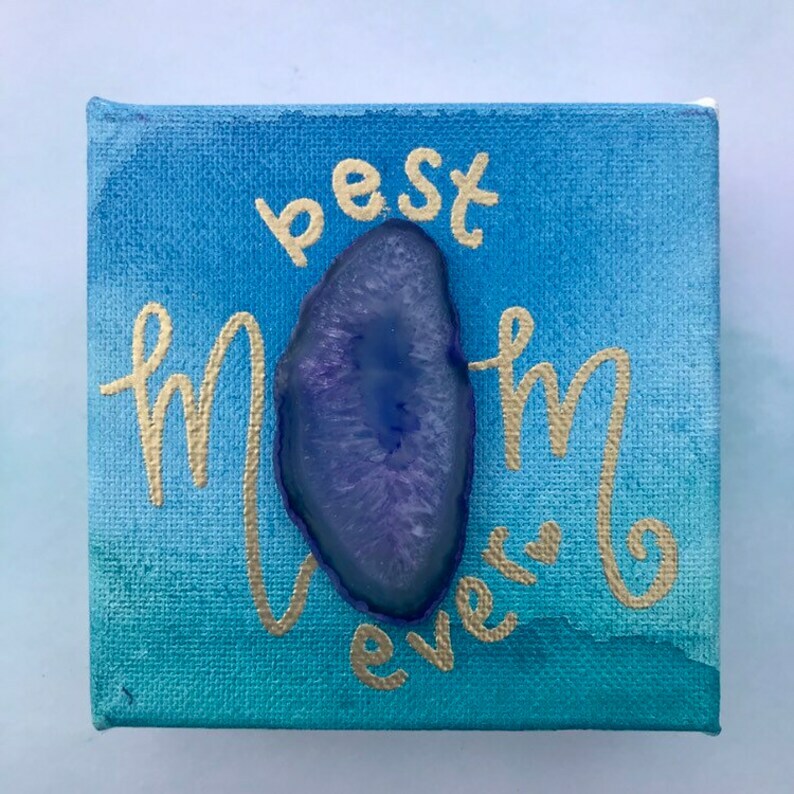 Mother's Day gift art crystal 4 x 4 inch canvas with hand painted watercolor and hand lettered gold embossing. Ready to hang or can free stand. 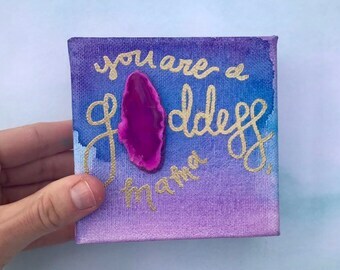 Comes gift wrapped with blank tag for you to fill out.